When these photos were taken in October, flags and flowers marked where another Bristolian was killed walking across a road - Ashley Hill -on the border between St Werburgh's and Montpelier. She was killed by someone driving a silver BMW -no further details are public at this point. There is not even a traffic island on this stretch of road. There's one further up, but not a zebra crossing, even though a lot of schoolkids use it. Here, although it says "20 mph", is a busy and often fast road. Cars heading up the hill are acellerating up something which, by virtue of the walls on either side "feels fast". Certain if you are on a bike, it feels safer to go on the old ashley road, parallel to this. Kate lived on Milverton Gardens -you can see how pedestrian friendly that is. If you live here, there is nowhere you can get to without crossing this road or walking all the way down the hill. On our last visit, the same cars were parked in the same places. They must be "their" bits of pavement. Because this is just within the 20mph zone, the anti-20mph people will cite this as an example of how 20 mph zones don't work. Sadly, in this instance -it wasn't enough. The candidate for Clifton, Owain George, didn't get elected, so his plans to introduce more parking has failed. Clifton Residents are forced to make do with what they can get. From the distance, you can see it's cornerish parked but not the details. That's two pavements and a chunk of the road -enough that the Fiat Ka behind it may have a hard time getting out. The election is here today, and it is everyone's duty to get down there and vote for someone. One option is Dave Dobbs, who cites is place of residence as a van in Stokes Croft. That's his key positive feature. If you've seen the flyer about how he believes a great flood came from Mars, well, he's clearly barking mad. But so is Gideon Osborne! And Michael Gove! And they have even more power and influence. Being totally off your rocker should not be a barrier to holding political positions. Anyone else: Phil Plover. He's the candidate from the Waltham Forest party. We had a look at his transport "ideas", as it's the one we care about. "It might be good if Bristol gets some sort of rapid transport system – maybe trams or some sort of monorail. " A monorail. People would laugh at as. Has never tried the one at Birmingham Airport?
" Open up bus-lanes - these are typically empty most of the day whilst the lane next to them is chock-full of slow-moving congestion, spewing pollution out for twice as long as necessary! Trams never needed a whole lane to themselves, laying empty 99.5% of the time. So, treating car drivers as sensible people who do care about the environment for them and their children, I would like to suggest a deal with Bristol motorists: when you see a bus behind you, pull in and let it pass - like you would an ambulance. It adds only seconds to your journey time! That way, we don't need to waste roadspace on separate bus lanes springing up all over the place, and ALL lanes can be available to ALL traffic, ALL of the time. Simple, safe and sensible. This is good. the exclamation marks show him as one of those evening post commenters who can solve the city's issues with the word "simple!!!" at the end of every sentence. Bus lanes are for short stay parking; you can't drive down them for that reason. This is why buses are usually in the car lane. If you've ever seen an ambulance trying to get up Stokes Croft to Cheltenham Road in the evening rush hour, you'll see that people don't get out of the way for it. When they do, each lane pulls to one side, the left hand side half up on the pavement. Nobody is going to do that for a bus, unless it too has sirens and flashing lights. "Make junctions more efficient ("1 in – 2 out") - to avoid delays and make travelling more efficient for everybody, where there is room, divide traffic approaching a junction into two lanes." What he seems to mean here is actually have two lanes approaching a junction -as this will make it more efficient. A queue develops whenever the number of items leaving a channel (i.e a road) is less than the number entering it. Widening the approach to a junction is simply "making a wider queue". It does nothing to the overall throughput. With a wider queue, the jam may not appear as long, but it has the same number of vehicles, the same egress rate -and hence the wait time is the same. Or to summarise: making the approach to a narrow road wider makes no difference whatsoever to your journey time -unless it encourages more people to drive that route in the belief it will -which will then make things worse. People complain that politicians have no understanding of maths and science -this person is, sadly, an example. "Where pavements are excessively wide, reduce them to 4-6 feet and create free parking space, where possible (except where large pavements are used by the community eg Gloucester Rd)"
Increase free parking wherever safely possible - I believe there are a lot of parking restrictions (double yellow lines and meters) where they don’t need to be – consequently, that roadspace is often underutilised while motorists drive round and round, increasing congestion and pollution, seeking an alternative. We love this "its the restrictions that cause pollution" -theme, we'll have to use it ourselves. It implies that we do care about pollution as we drive our diesel van with the broken exhaust round the city, leave it running while we deliver some special toys to our customers -and it's all down to the fault of the council that small children die of asthma. Controlled Parking Zones (CPZ) – personally, I would find the idea of having to pay to park in my own road very frustrating. It’s mainly a problem where parking is very badly restricted. If parking were freer, it might not be a problem at all. There' s a risk here that the "motorists drive round and round, increasing congestion and pollution" theme could come back to haunt him here -in a CPZ, there is no point driving round. Hence the pollution and congestion falls. Remove large slabs of concrete - Surely squashing vehicles closer together can't make sense. If there's room to keep vehicles further apart, that reduces the risk of collision and means you have somewhere to go in case of emergency (eg a child or elderly person falling into the road). It turns out this means "remove the build outs that force you to slow down entering quieter roads"
There's some interesting maths here; a mix of game theory (conflict and reactions to collision risk), and probability. Specifically that "somewhere to go in case an elderly person falls into the road"
With a wider buildout, there is more pavement for the elderly person to fall onto, so P(fall-into-road) is reduced; with the reduced cornering speed the energy in the collision is also reduced. Phil's assertion "you have nowhere to go in an emergency" implies that swerving is the tactic, not braking, and that there is no oncoming traffic, so swerving is a viable action. We'll leave it to the readers to work this out -the quick summary is obviously that the velocity-squared variable is the main factor in damage; the probability of swerving out the way would have to get four times worse to result in the same damage reduction as cutting vehicle speed in half. Sadly, as Phil Plover doesn't get queue theory, probability and statistics will be beyond him too. There we have it then. The candidate for the evening post commenters. Someone whose entire world view is based on "obvious" answers, yet without the basic mathematical underpinnings to recognise that his obvious is, to us, obviously wrong. Dave Dobbs it is then! We actually suspected that he was some spoof candidate, as he's almost the opposite of George Ferguson. Owain George: blue trousers, runs a pub, praises driving. Poses for a photo with his hand on his "tender parts" to show how sensitive he is. Our real concern is something different: Owain George owns the Albion Pub, Clifton. Albion Clifton used to be nice pub in Clifton to which you could drive, leave the engine running, pop in to have a swift 8 pints and then carry on with your HGV delivery schedule. Used to be. Today, the has council needlessly blocked Boyce's Avenue to parking. Here we have a mayoral candidate that can not even stop the council taking away the parking spaces from outside his own pub. How can this person claim to be able to push back the anti-car actions of our city! Worse than this though: today the Albion is a gastropub. Gastropubs are a plague upon the hard-working delivery drivers in the city. Before, we could nip into places like the Albion, the Pump House and many other destinations, to take the edge off a tiring job. If you were really hungry: go to a cafe and have bacon and eggs. Now those pub owners refuse to serve you unless you sit down and order veal with your quails eggs, and make you pay five pounds for some "authentic" beer. Similarly, he offers to create more on-street parking. It's a nice promise, but where? Clifton has even run out of corners to corner park on -which would leave the zebra crossing between the Albion and Clifton Village proper -but that's where tesco's HGVs park for deliveries. There we have it. The one openly cyclist hating, car parking advocate for the mayoral elections turns out to be a gastropub owner who can't even prevent the street in front of his gastropub becoming pedestrians only. This is why we think that even though his opinions may be aligned with ours, his inability to execute on them renders him worthless even as the #1 'disposable' vote. Who does that leave? Spud Murphy, who appears to have left a Wurzels concert after too much cider -and frankly would make Bristol's reputation for being provincial worse -or that traveller who cite his address as Stokes Croft and judging by the manifesto has clearly imbued too much of the Stokes Croft retail pharmaceutical portfolio. No, not Chris Chalkley -someone else. "Getting more people cycling is absolutely key to the future of the city because it will also reduce the city's carbon footprint and congestion during the rush hour." We hope he's just taken some advice from his London leaders, and is now is lying to get into power. But how to know. We've tried to contact him to ask "are you really holding strong to your principles and just lying to get elected, or has something happened to your brain?" We went over in our van to see how leading edge councils were improving motoring conditions. The first step is competely remove all front gardens and replace them with cars. This not only increass parking capacity by 50-100%, it makes it far more obvious to passers by who is the wealthiest. The house on the right with the Porsche, the 4x4 and the Audi is clearly more important than the toyota owners next door. The other key isse is infrastructure provisioning. Together with TfL, Brent and Harrow councils have made sure that the shopping areas are very accessible by cars, with laybys and two lanes on this, Kenton Road, for the shopping traffic. As you can see, there are no cyclists and very few pedestrians -so that car traffic is essential to the livelihood of the remaning shops. A saturday lunchtime and what do we see parallel to East Street? The reason the Clifton residents have fought so strenuously against residents parking in the rest of the city is not for the sake of those residents, but for the sake of clifton. But corners are sometimes the only places left to park. 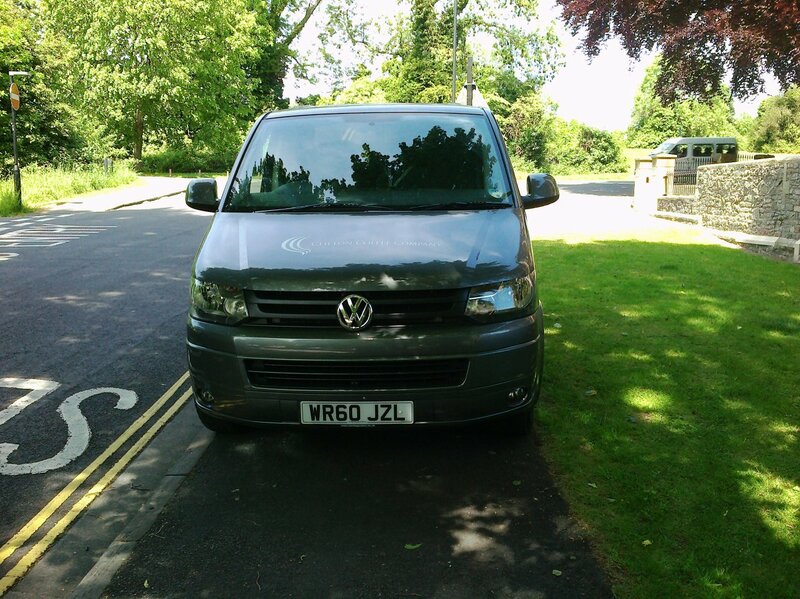 Why should a residents parking zone make cornerish-parking for residents like the owner of WP59LGN a crime?